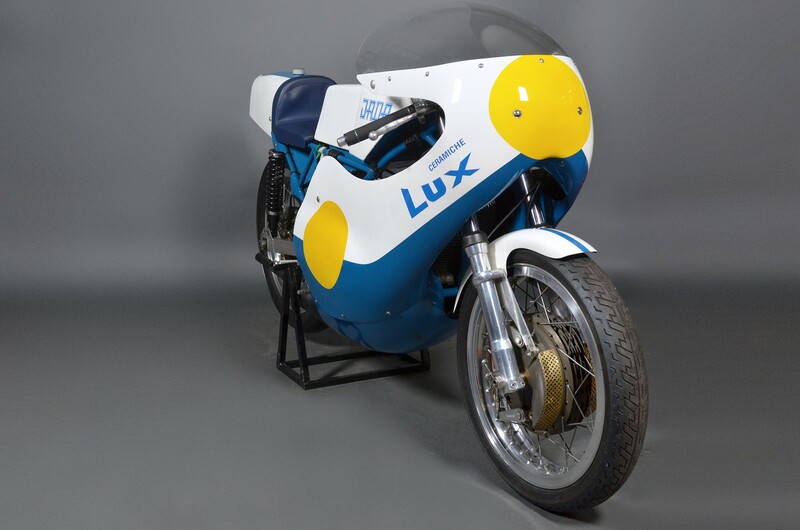 Is the Jack Findlay’s motorcycle (famous Australian sixties and seventies rider) that ran in the Road Racing World Championship. It was built by the same Findlay and another myth of the racing world: the manufacturer of drum brakes, Daniele Fontana (the name Jada is the acronym of the initials of the two names). Findlay, after the “surrender” of the British single-cylinders (already obsolete), thought to match one of the emerging Japanese production engines (tuned to race) to a lightweight chassis, innovative and with better weight distribution (the engine was placed in the front part of the frame): just a gap of about 6,5 lb between the weight of the front part and that of the rear of the motorcycle. 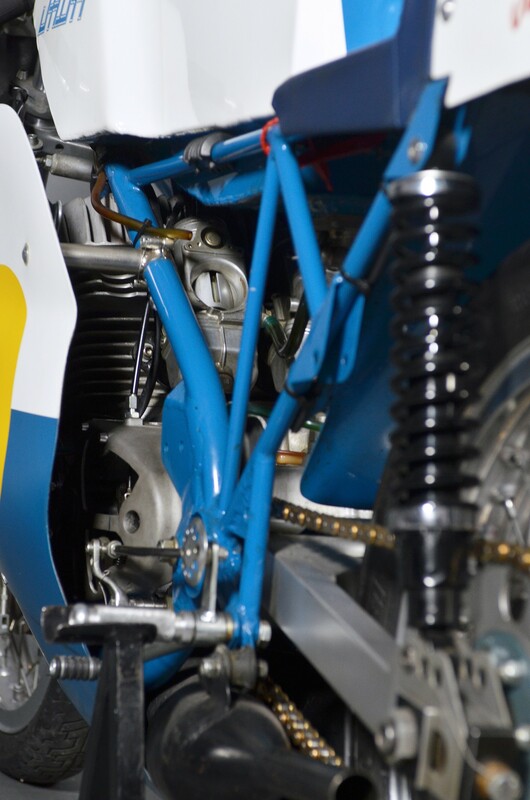 The frame, in special tubes Reynolds milled inside for additional saving, weighs only 21 lb and also includes the fork, a “feather” made by the known craftsman of the time Stelio Belletti (author of special chassis for Honda Hailwood). 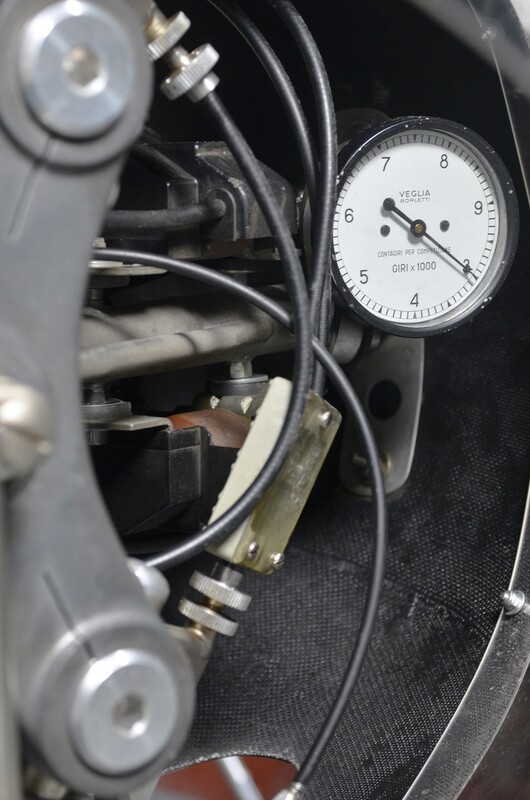 Unfortunately the engine crankcase was very heavy and at the time the only solution to decrease the overall weight (also dictated by economic reasons) was represented by a lightening of standard components. The Suzuki engine, “vitamin-enriched” with special pieces, provided around 70 horses with an increase of about 50% compared with the standard engine. 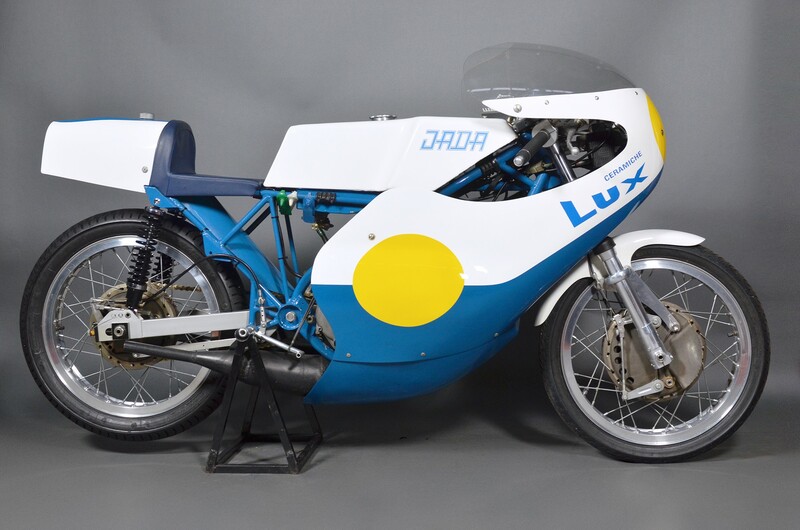 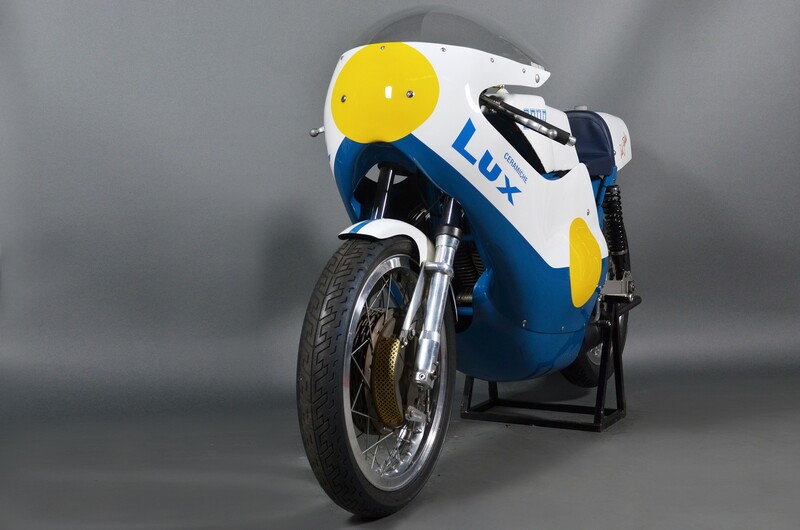 The bike was used in the World Championship of 1972 with mixed results (first, second and third place plus some placings) before being shelved after the official recruitment of Findlay by Suzuki. 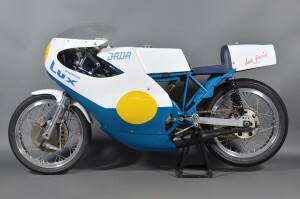 The following year, however, was dusted off in the World Championship by Nico Cereghini only to compete for a further 11 years in national competitions with excellent results (especially with riders Adriano Friggione and Osvaldo Coppelli). In 2001, Jada (extensively remodelled but with the frame still in order and with the original engine blocks) was accidentally recovered by Milanese collector Giovanni Belli who, thanks to some photos of the time, was able to restore it faithfully. The bike, much appreciated by fans, has been invited to Montecarlo in the exhibition of the collection of vintage cars of the Prince of Monaco.